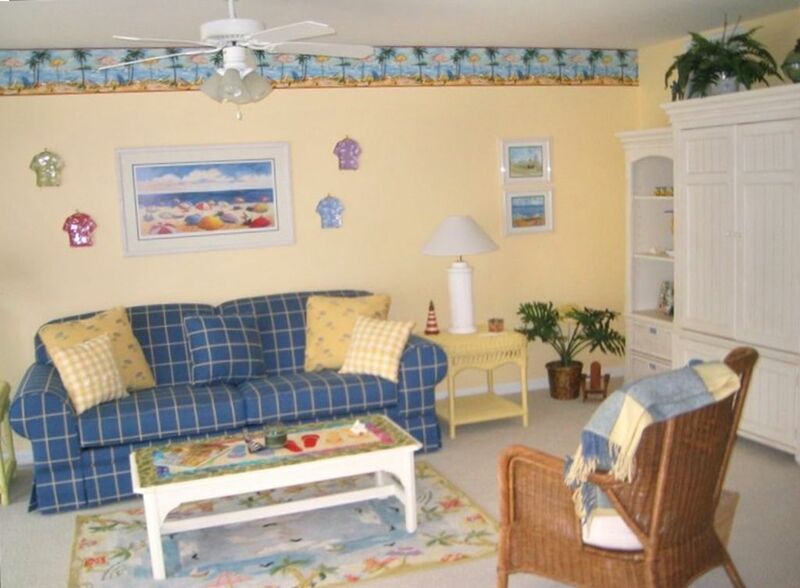 Great Beach Block, Oceanview Condo - Just Steps to the Beach! Just steps to the beautiful, pristine, safe beaches of Wildwood Crest! Voted top ten best beaches at the Jersey Shore and never a beach fee! Ocean views from your deck, enjoy your morning coffee or evening relaxation with the sounds of the ocean. Located near major, luxury resort complexes this condominium offers an upscale, quiet beach block location. Just bring your linens and pillow for a perfect summer vacation at the Jersey Shore! Spacious, bright condo featuring beach decor complimented by a full kitchen with all utensils or dine at one of the nearby award winning restaurants. Elevator will take you directly outside the door to your island oasis. Spend days at the beach and the evenings watching fireworks or enjoying the famous Wildwood boardwalk - all without ever moving your car! The Island Trolley picks you up at the corner for a relaxing, fun filled evening of entertainment. Fishing, boating, bicycling, golf and water sports, etc. are all close by. Free WiFi!! Only minutes away, enjoy a day in historic Cape May. Take in the wonderful Victorian charm as you stroll past historic homes, and antique shops. Enjoy high tea or a fabulous dinner at one of the many top rated restaurants in New Jersey. Come and relax in your own island getaway! Master Bath has a stall shower and a tub / shower. Main bath has a tub/shower. Located in the beach block. Approx. 400 feet to the beach, with no streets to cross. Full size in separate laundry room inside condo. Laundry detergents provided. Auto-drip coffeemaker. Filters are supplied +Single serve Keurig. Aluminum foil, wax paper, plastic sandwich bags, dish detergent, dish washer detergent, hand soap, etc. Complete with cooking utensils, cookware, glasses, dishes, silverware, toaster, coffeemaker, garbage disposal. All stainless steel appliances. TV & DVD in Living room. Flat screen TV in Master bedroom. TV with DVD Player in Second bedroom. Very clean and pleasant. Great location next to the beach. Well appointed. We had a great time the week that we stayed here. This was definitly the perfect beach condo. It had everything we needed and was walking distance to the beach. The rooms were perfect and the balcony was great to sit and drink coffee in the morning and enjoy the morning breeze from the ocean. Would definitly recommend this place to others and would definitly rent it again in the future. We thoroughly enjoyed our stay in this beautifully decorated condo. They provide basically everything. It was clean and well cared for. It is very close to the beach, with in walking distance. The condo complex is quiet. We hope to be able to visit again soon. Our stay in this lovely unit was wonderful. The unit is beautifully decorated, well stocked and exceptionally cared for and clean. It was so nice coming back from the beach to cocktails on the lovely deck. This was our second stay at the unit and it will not be our last. All the comforts of home at the beach. What more could you ask for! We have been coming to this condo for the past 3 years and twice the last 2 years. The location is excellent, very short walk to the beach, neighbors nice and quiet, but most of all the condo is immaculate!!! The owners are the best, very nice and attentive to all our needs. We are looking forward to visiting again for the second time this year in about 2 weeks! We highly recomment it!! !